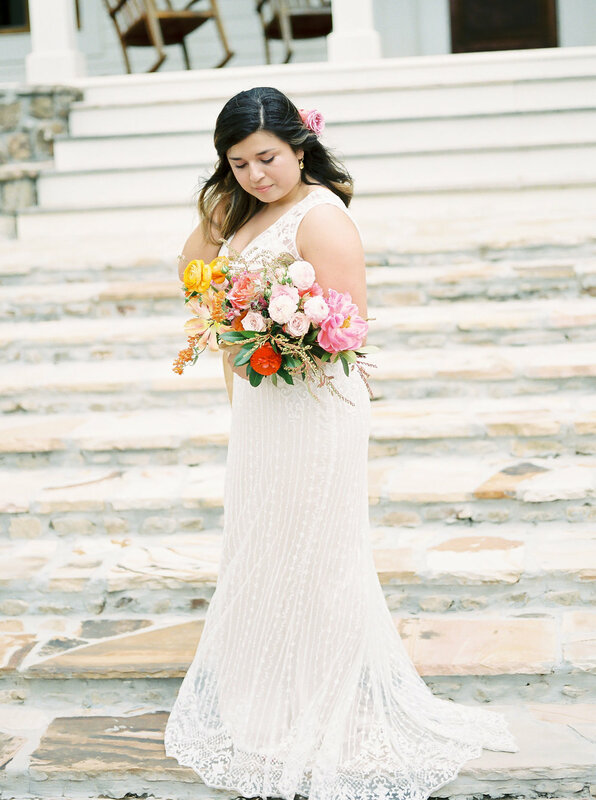 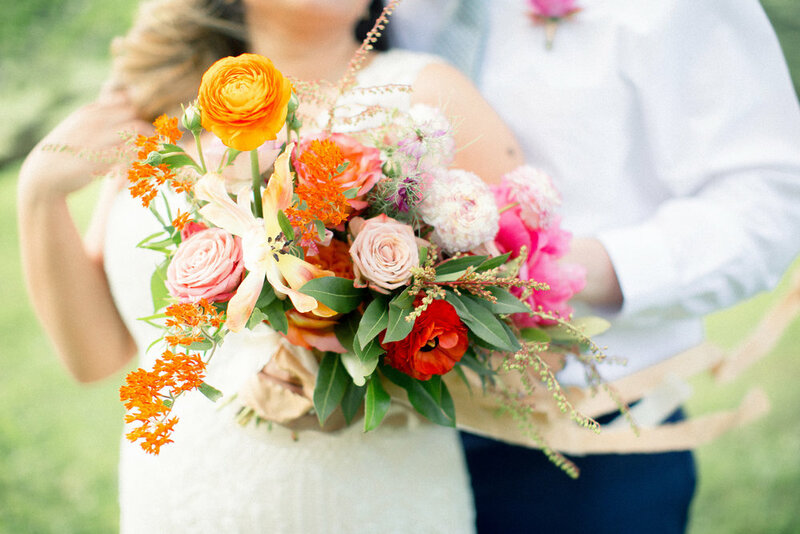 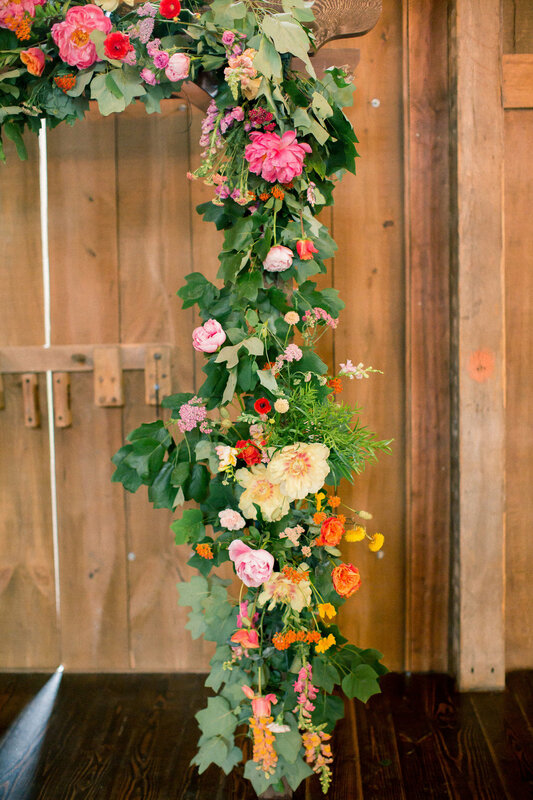 We can't get enough of this vibrant, summer wedding! 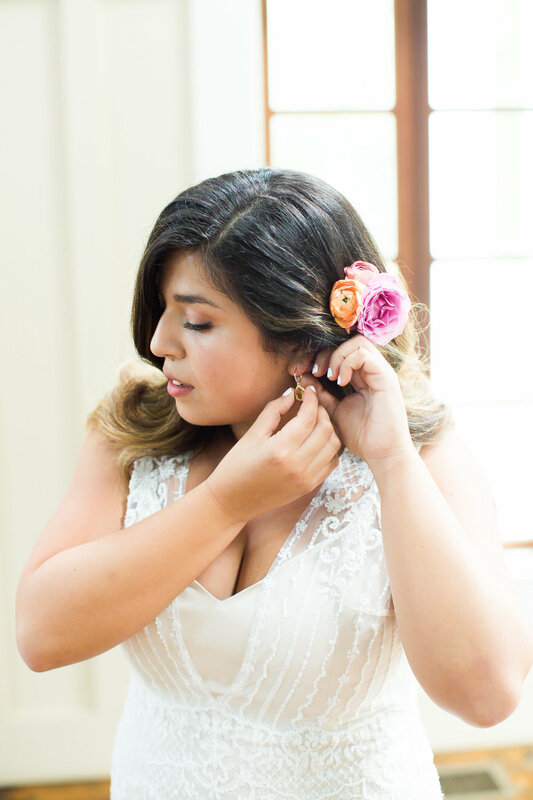 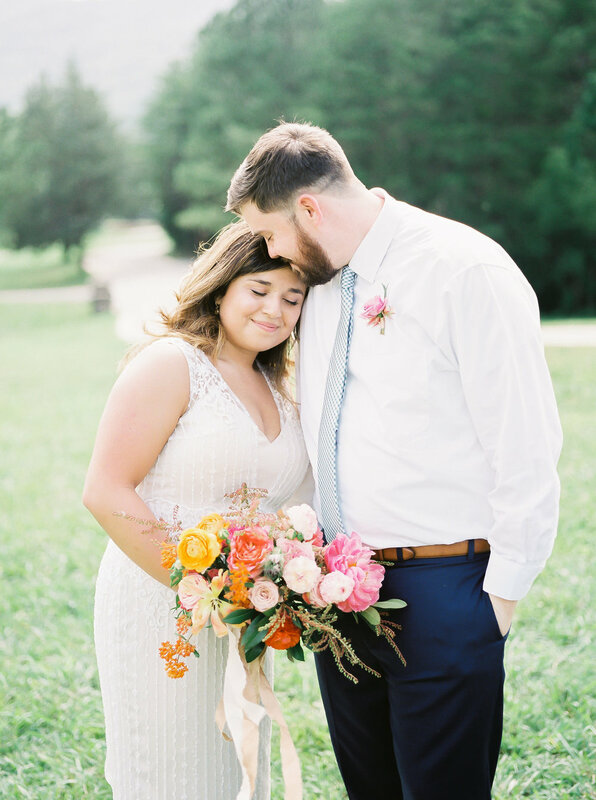 Our couple wanted to embrace the bride's roots and happily hosted a fiesta-inspired affair for their family and guests. 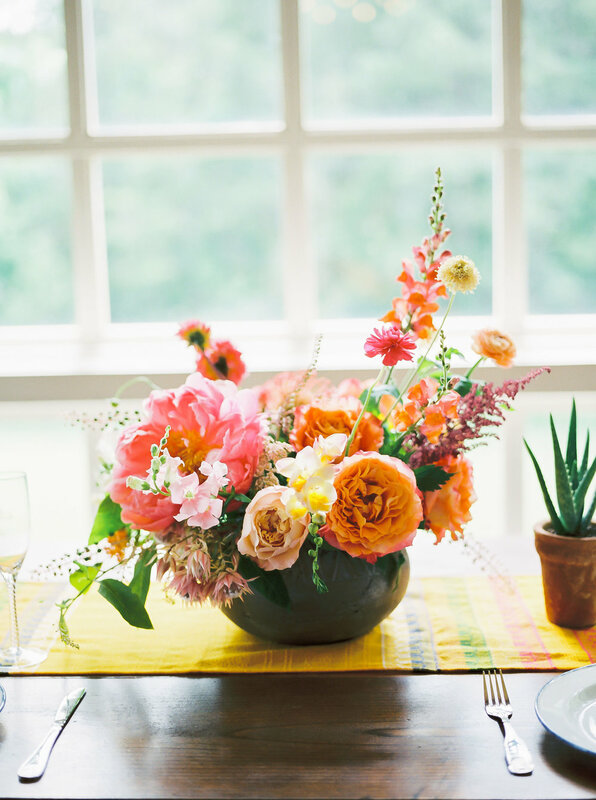 Tables were topped with Mexican textiles, terra cotta vessels, and bright florals to tie in every detail. 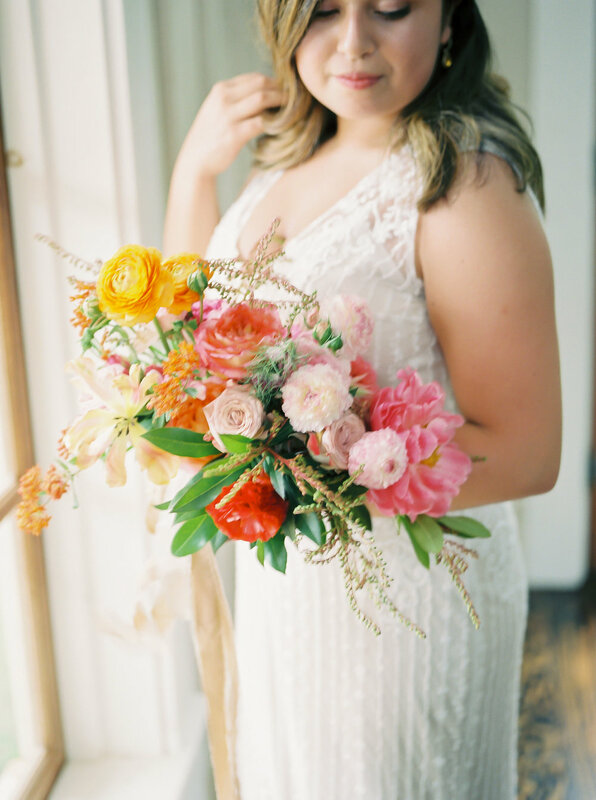 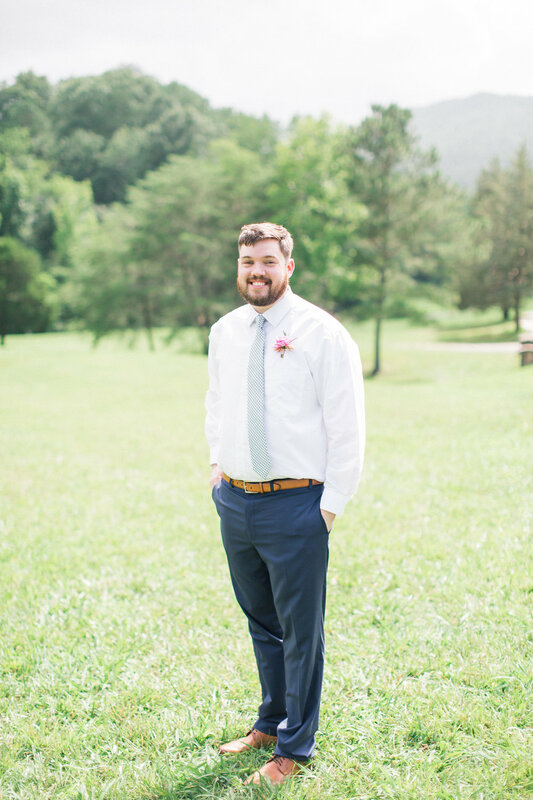 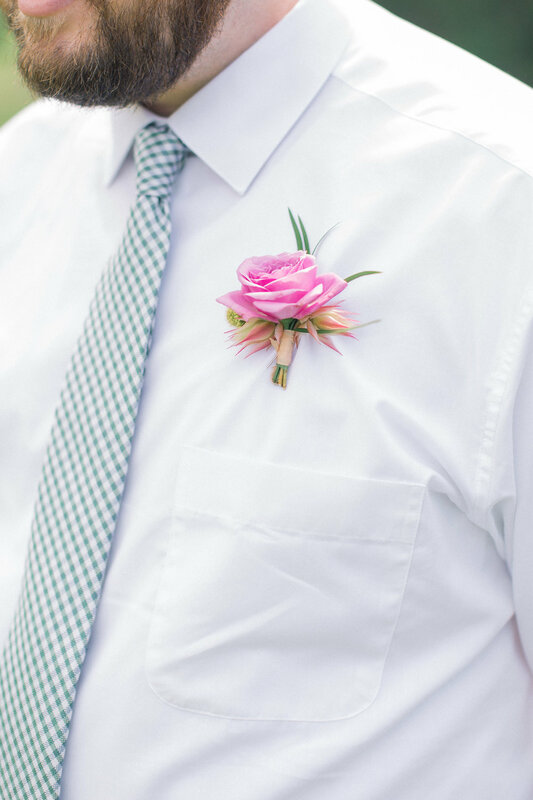 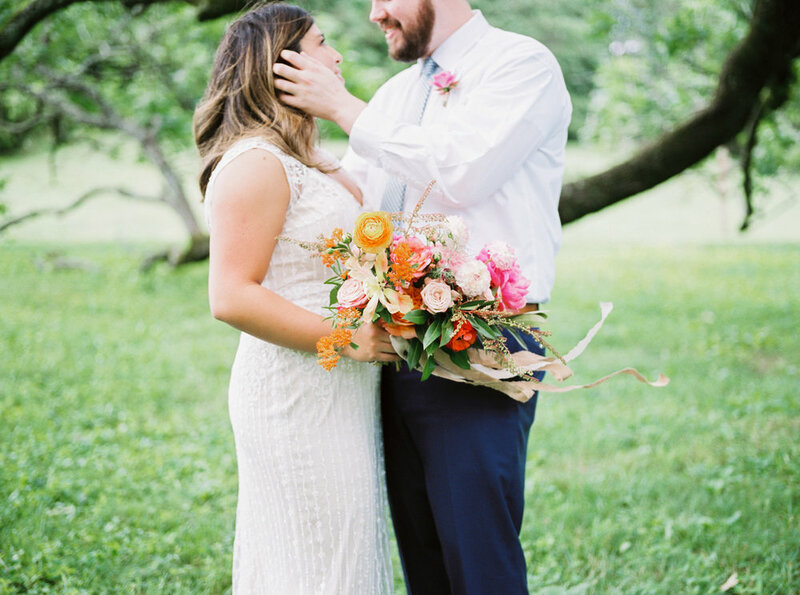 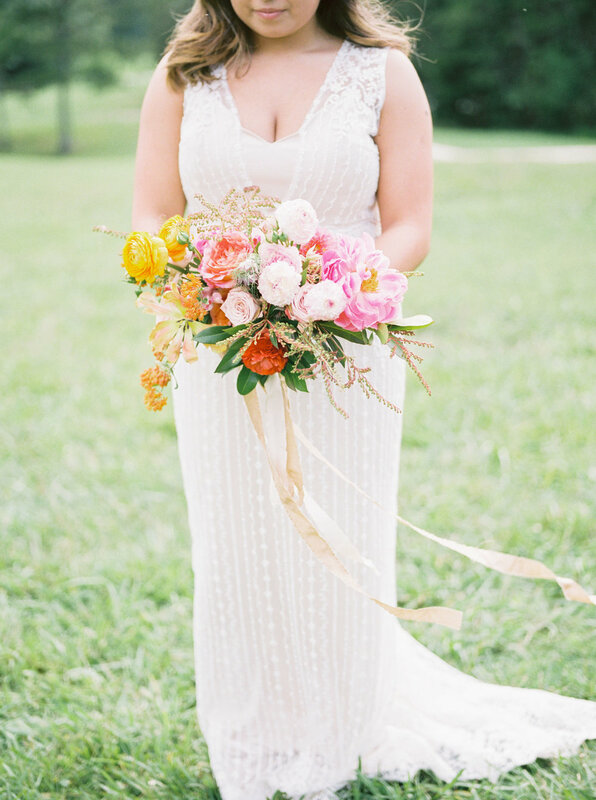 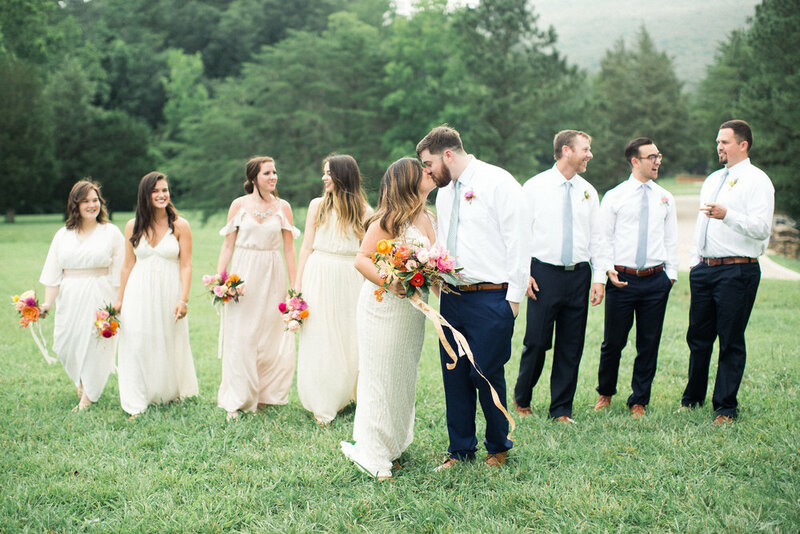 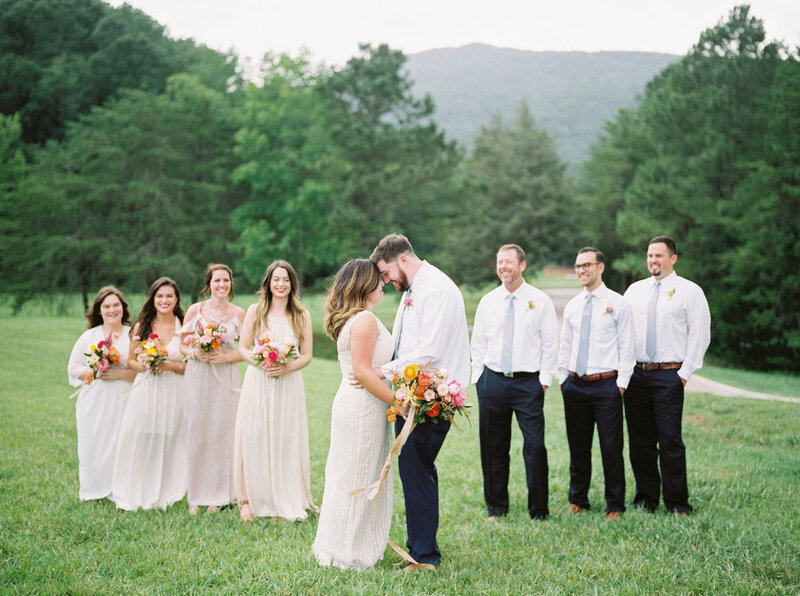 The warm and bold palette was not only perfect for a summer day in Tennessee, but served as a pleasant reminder that when planning your wedding- always stay true to your story and vision! 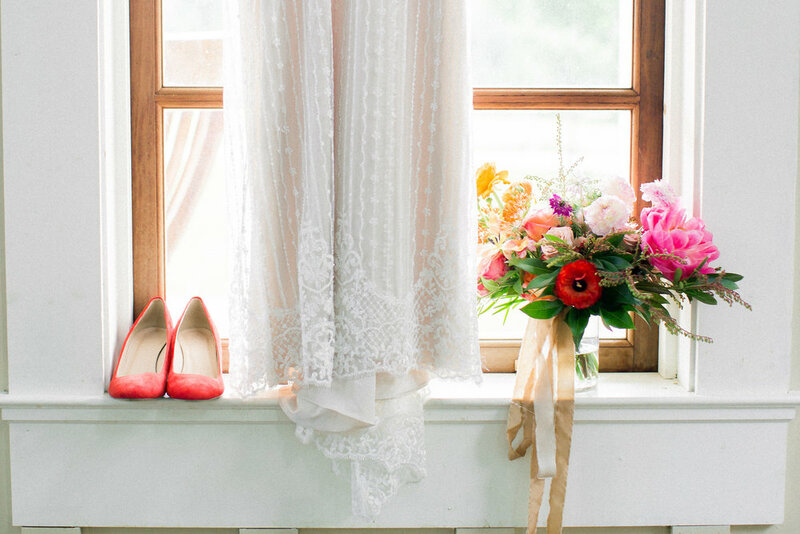 It just doesn't get more intimate and beautiful than this.